Following Michielle’s graduation from law school, where she was on the Inter-American Law Review, Michielle was admitted to the State Bars of New York and New Jersey. In 1995, she served as a Law Clerk for the Honorable Robert A. Longhi, Superior Court of New Jersey, Middlesex County for a one year term. Since 1995, Michielle has been devoted to the practice of matrimonial law having worked for several prominent attorneys in New York City. In 2002, Michielle joined the firm of Garr Silpe PC (formerly Garr & White) where she spent sixteen years. Michielle has a deep commitment to working with her clients helping them through the process of divorce from inception to conclusion during a difficult and challenging time in their lives. In July 2017 Michielle joined Lee Anav Chung White Kim Ruger & Richter LLP, bringing with her years of experience handling complex matrimonial matters from inception. Michielle continues work diligently with her clients in assisting them with achieving favorable settlements. 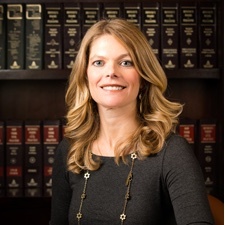 Michielle has developed an expertise in preparing and negotiating prenuptial agreements. Prenuptial agreements define the parties’ rights and obligations during their marriage and can cover a broad range of areas including: how to manage parties respective incomes; issues regarding future support of a spouse; how to deal with assets accumulated prior to the marriage and after marriage; how to protect a business interest, license or degree; how to handle issues regarding real estate acquired prior to marriage and during marriage; as well as resolving issues with regard to estate rights. Most often clients come into the process not understanding that they are essentially “negotiating their divorce” before it happens and with a prenuptial agreement clients can feel financially protected going into a marriage. Prenuptial agreements have become increasingly more common in the past ten years. There is a marked trend of individuals getting married later in life and wanting to protect the property they acquired prior to marriage coupled with the realization that the rate of divorce continues to climb in New York.